The NSMB Hacking Domain » Release of a cancelled thing? Release of a cancelled thing? This is cancelled due to the lack of interest. This patch has everything done so far, including MvsL for multicard players. 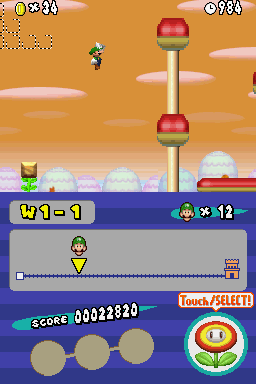 Some levels are unfinished, so there´s a flagpole next to you, but you can explore as much as you want. Hope you like it! If you try it, let me know what you thing about the design and general gameplay please! What is Mario and Luigi: The great adventure to rescue Peach? 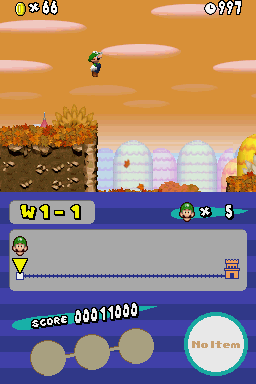 This hack, not based on the anime movie, was before Super Mario: Egg Hunt, but I loose the interest in just hiding a hard level and warps. 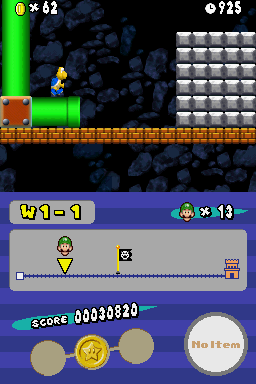 So this is now a NsmbDs hack where the levels are big, so you must find the levels are all new and original, including custom tilesets and backgrounds. The Hack is expected to release in Summer 2018. Not having a release date yet. This hack is a full hack. If you want to see the current state of the hack, click the 1-1 video. I need to update screenshots. -Some custom and (probably) unexpected things. 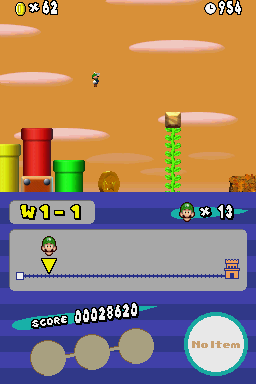 -Make Mario move on the mini-map during the levels. -Do the w1 and w2 levels so a demo gets released. -Make the levels of the other 7 worlds. -Mario and Luigi texture editing. 1. So... it's like endless earth... but with "easter eggs"? 2. What are these easter eggs? you seem to only talk about star coins. Are they the same? Mazes are bad. Just, in general, bad. Ewww... what is this mess. *Goes into nsmb editor and looks at where to get all the eggs. It´s not funny if you cheat! *Thinks to self: that was hilarious! big levels at the expense of level design quality is bad. the only result is headache from trying to map the levels in your head. IMO it severely lacks enemies, coins, or basically whatever. it's really bland. generally, avoid replacing animated backgrounds unless you know how to deal with them. also, please don't remake super mario bros 1-1 like every single mario romhacker does. at this point there is zero replay value. this. people won't feel like playing hacks that are just a kid's playground. this aside, it seems like a clean project. you're not getting ahead of yourself, and you're tiling properly. you just need to work on your level design before the next update. Thank you all, your criticisms are all valued. I think I'll remake 1-2 and erase the 1-1 remake, and re-explain the Easter egg of the game. Please don't put remakes at all. People want to play new levels. 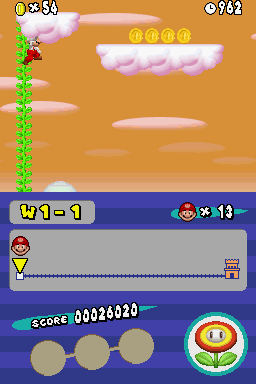 If your level is good enough, i dont think big levels are a problem. Maybe thats my opinion but i love huge and explorable levels. 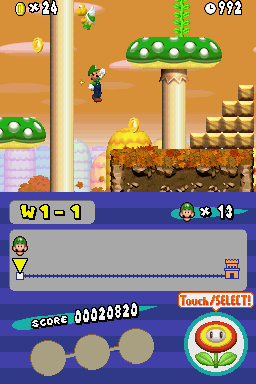 This hack is now called Mario and Luigi: The great adventure to rescue Peach, due to the loose of interest in the E.H. development.